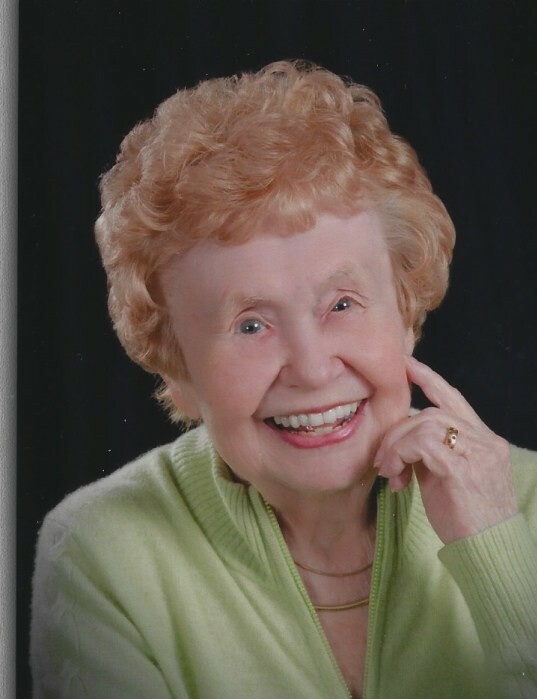 Jean C. Faeth, longtime resident of Hinsdale, passed away peacefully on December 6th, 2018. She joins her husband of 50 years, Harold W. Faeth, Jr., who preceded her in death in 2004. She is survived by her 3 children, Cheryl (Paul) Kane, Steven (Valerie) Faeth, and Sheila Faeth; and her 3 grandchildren, Erin Terryberry, Kaitlin Kane, and Elizabeth Faeth. Jean was born on June 26th, 1932, in Cincinnati, Ohio, which she would call home through her college years. From a very young age, Jean’s curiosity and love of learning was evident. This search for knowledge led her to the University of Cincinnati, where she graduated from the Teachers College in 1954. While at the University of Cincinnati, Jean found one of the other true loves of her life, her husband Harold “Hal” Faeth. Jean met Hal on a blind date, and they quickly fell in love, marrying shortly after her graduation in 1954. Jean and Hal moved first to Mississippi and then Indiana while Hal completed his graduate degrees. While her husband was learning things in the classroom, Jean continued to explore the world around her and learn on her own. She loved to walk around the campuses and be surrounded by the history and love of learning that was present, and to watch the mix of brilliant individuals that one seems only able to find on a college campus. She would later tell these stories of the people that she met across campus to her granddaughters, including a conversation with William Faulkner while he and Jean were both at one of the campus fountains reading one afternoon. After moving to Indiana, Jean served as a high school teacher, sharing her love of knowledge with others, until the birth of her first child. Jean served as a teacher, mentor, and surrogate mother to her children’s friends. Her kind heart and open spirit made her a friend to many, and she served as an inspiration to others wherever she went. She loved the arts, including theatre, opera, classical music, and painting, and she fostered this same love and appreciation in her children. After she and Hal moved to Hinsdale, Illinois, Jean became a staple in the community, and had many friends throughout the town and neighborhood from her many hobbies and interests. She was well-known for her lively get-togethers to celebrate things like awards ceremonies, and to share in the company of her many close friends. As she approached many things in life, Jean sought out art that explored the human experience, and most enjoyed those pieces that sparked conversation and deep thinking. A lover of learning and adventurer at heart, she never shied away from new experiences or the chance to expand her knowledge. She was just as likely to be found in the den in her house with a book in her hand (or, later, her tablet) as she was to be found on a zodiac boat in Antarctica to observe penguins. Jean’s travels took her all around the world, from sea planes in Alaska, to exploring castles in Scotland, to trying to avoid the many venomous snakes in South Africa. “Mama Jean,” as she was known to her favorite travel companions, was always the first to suggest a trip to whatever historical monument was nearby, often providing her own history lesson along the way from the many books she read over the years. Jean was not only a master traveler and arts aficionado, but a skilled duplicate bridge player as well, achieving the prestigious Life Master designation. Jean continued to play bridge regularly until the last few weeks of her life, and was a fierce competitor throughout who was frequently sought after as a partner. Jean’s kind heart also extended to her many “grandpuppers,” and to Roxy, the golden retriever who most recently adopted Jean as her person. It was not uncommon to catch her sneaking a bite or two of her own dinner to the dogs. Jean loved to spoil her granddogs as she did her grandchildren, often sending toys and treats, and of course plenty of pats. Of all of the many accomplishments in her life, Jean was most proud of her family and the 3 amazing children she and Hal raised together: Cheryl, Steven, and Sheila; and, later, 3 beautiful granddaughters: Erin, Kaitlin, and Elizabeth—each of whom inherited Jean’s vibrant spirit. She passed on her love of learning and helping others, and her desire to change the world for the better lives on in her family. Though she was small in stature, Jean’s enormous intellect and capacity for love and learning was felt by all that she touched. She was known for her bright smile and infectious laughter, and for the joy she brought to all those she interacted with. Though she is gone, her legacy will live on in the many lives that she touched. As one of her favorite book characters, Albus Dumbledore, said, “After all, to the well-organized mind, death is but the next great adventure." Jean’s family and friends will be forever thankful for the love that she shared, and wish her the best as she embarks on the next great adventure and reunites with her beloved husband once again. A memorial service and celebration of Jean’s life will be held at 10:30am on Saturday, January 12, 2019 at Union Church of Hinsdale, 137 S. Garfield Ave. In lieu of flowers, memorials may be made to Hinsdale Library, 20 E. Maple St., Hinsdale, IL 60521 or As Good As Gold - Golden Retriever Rescue of IL, 518 S. Route 31, Suite 178, McHenry, IL 60050.